According to a study led by Mayo Clinic, the growth and evolution of the electronic environment in healthcare is taking a toll on U.S. physicians. 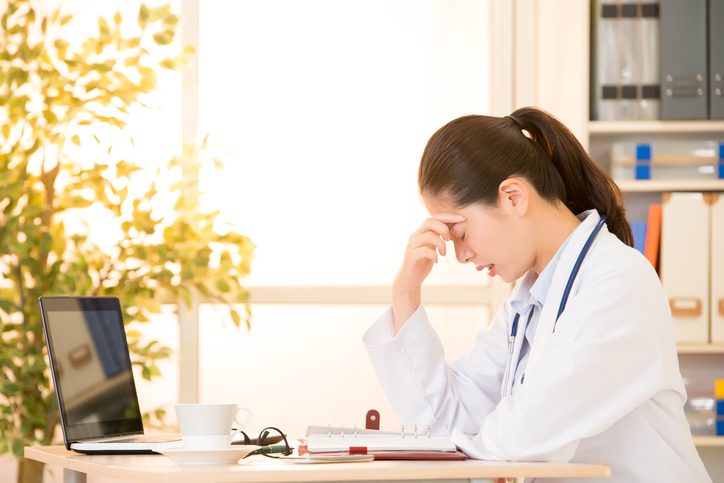 Mayo Clinic researchers found that the use of electronic health records and computerized physician order entry decreased physician satisfaction and led to higher rates of professional burnout. In fact, studies led by the same researcher suggest that more than half of U.S. physicians are experiencing professional burnout. Unfortunately, it is not only doctors who suffer from physician burnout; patients are affected, too. Physician burnout reduces both patient satisfaction and quality of care, and it jeopardizes patient safety. At the end of the day, electronic health records, CPOE, and patient portals are here to stay. These tools hold promise for reducing errors and improving the quality of care. To counterbalance unintended consequences, hospitals would be well served by adopting technologies that reduce physician burdens. For example, MDsyncNET’s On-Call Scheduling software delivers real-time accurate schedules that prevent miscommunication and wasted effort. MDsyncNET offers seven other software modules that streamline processes and put the brakes on burnout throughout the organization.